In fandoms there is always shipping and then there is also canons. When it comes to things like animated music videos or maybe even fanfics, is that the difference between shipping and canon is dates. Shipping is a type of couple that isn’t officially together, but to a fan there are plenty of evidence that the couples could or do like each other. For canon the couple are officially dating and or together and both characters confirm this. Now this sounds simple, there are shipping and there are canons. 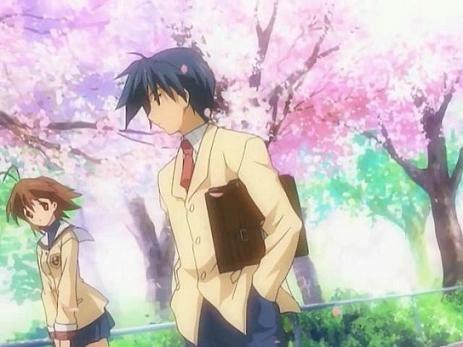 But say you find an animated music video of let’s say Clannad’s Nagisa and Tomoya. Now with the ending of Clannad you can say it’s a canon video. The title says shipping, but isn’t the couple canon? Yes the couple is canon, but if you look at the date of the music video and you see the video was made before August 2nd 2009, the video is indeed a shipping video. The point of this date is that before August 2nd no one had really any idea who Tomoya would date. Yes all the accounts lead to Nagisa, yes there were plenty of times it seemed like they dated. But without confirmed gestures or a confirmed statement saying “will you go out with me?” or maybe “we’re dating,” the pairing is a ship. That being said there are a huge majority of shipping in animes, especially frequently in the recent summer anime ending. Shipping allows a fan to move the couple anyway they want, not only that but during scenes a fan can interpret what a scene says about the shipping couple. All the while canon is more difficult with that freedom. Fandoms with canon couples tend to have standard evidence that is frequently the exact same saying these are the key scenes that lead the couple to be, well, a couple. It seems as though being part of a fandom with couples is quite easy but when release dates of episodes, series, movies, etc it becomes a lot more complicated and really is a memorization task. But fans also follow couples they love so much that memorizing episode release days and scenes seems like nothing.